Laura Hodges Studio is a boutique design firm located in the in the Baltimore / Washington DC area working on full service interior design projects. We focus on creating the ultimate in beautiful, tailored spaces while fully expressing every client’s individual style and taste. Domain by Laura Hodges Studio is our home decor shop with a curated collection of local and globally sourced fair trade and sustainable home decor, original art, unique gifts, and one-of-a-kind pieces. 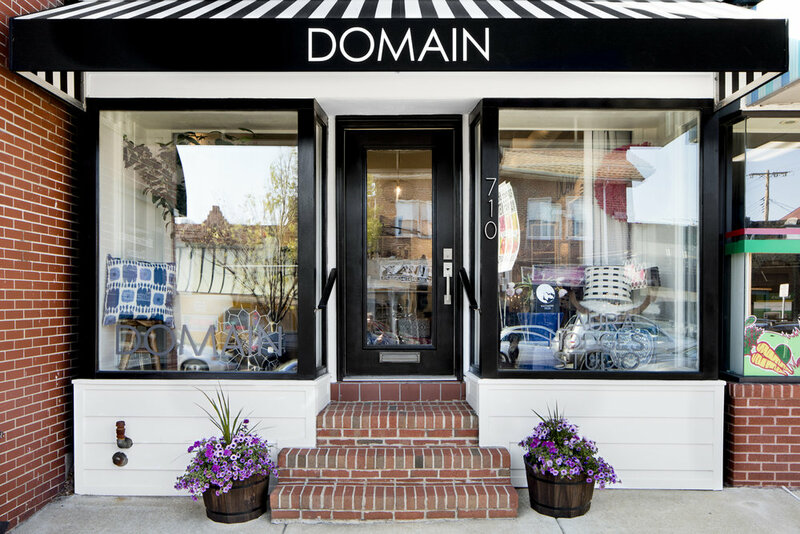 Domain is located on Frederick Road in the heart historic Catonsville Maryland. Come and shop the studio for a hand selected collection of throw pillows, vases, planters, jewelry, scarves, ceramics, blankets, and much more.